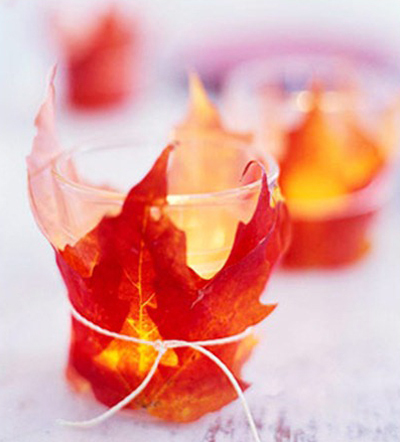 Simple ideas are often the best. 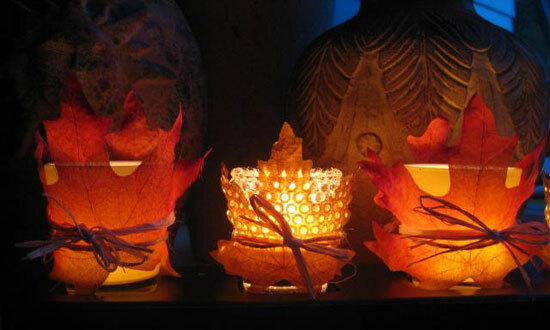 Just take a couple of autumn leaves, and wrap them around a tea light holder or glass jar. Tie them up with a little bit of string, it doesn't matter if it's rough, and light them up! So easy but so pretty.